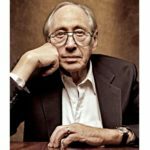 Alvin Toffler was an American writer, futurist, and businessman known for his works discussing modern technologies, including the digital revolution and the communication revolution, with emphasis on their effects on cultures worldwide. Toffler was an associate editor of Fortune magazine. In his early works he focused on technology and its impact, which he termed “information overload”. In 1970 his first major book about the future, Future Shock, became a worldwide best-seller and has sold over 6 million copies. "One of the definitions of sanity is the ability to tell real from unreal. Soon we’ll need a new definition." "To think that the new economy is over is like somebody in London in 1830 saying the entire industrial revolution is over because some textile manufacturers in Manchester went broke." "Change is not merely necessary to life – it is life." "The next major explosion is going to be when genetics and computers come together. I’m talking about an organic computer – about biological substances that can function like a semiconductor." "My wife and I, unlike many intellectuals, spent five years working on assembly lines. We came to fully understand the criticisms of the industrial age, in which you are an appendage of a machine that sets the pace." "The great growling engine of change – technology."